First 3 deposits only. Min dep £10 (£20 3rd Deposit). Max cumulative bonus £150 and 150 spins. Bonus match amount and spins game eligibility vary per deposit. 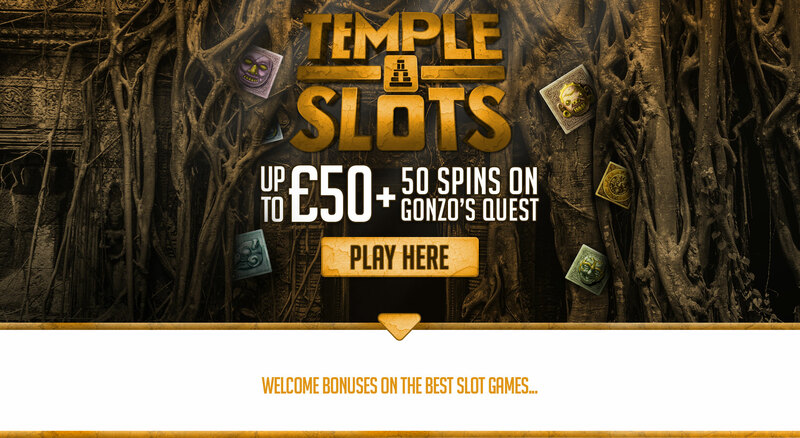 50x wagering on Deposit + Bonus, 50x on bonus spins, 10x max conversion, £5 max bonus stake. Full T&Cs Apply. PLAY SAFE. ALWAYS GAMBLE RESPONSIBLY. Our site is for users 18+ only. Welcome Package For All New Players! 1. These Welcome Package Promotion Terms & Conditions are the terms on which Betable ("we", "us") may offer new players ("you") bonuses based on the amount of your first, second, and third deposit into your Betable account (a "Welcome Package Bonus"). 3. are located in a jurisdiction where it is lawful to participate in the Welcome Package Promotion. 3. The Welcome Package Promotion allows you to receive bonuses from Betable ("we", "us") based on your first deposit (the “First Deposit Bonus”), second deposit (the “Second Deposit Bonus”), and third deposit (the “Third Deposit Bonus”) of individual real money transfers into your new Betable wallet, and not to any subsequent deposits. 4. The minimum deposit amount to claim each bonus is £10 for the First Deposit Bonus and Second Deposit Bonus, and £20 for the Third Deposit Bonus. 10. Bonus spins will be worth 10p each, and are awarded on different games dependent on which part of the Welcome Package is being redeemed. Wagering Requirements of 50x for bonus spin winnings apply. 11. The maximum conversion amount from bonus funds and free spin winnings to cash funds will be capped at 10X the bonus amount awarded. Bonus funds convert automatically once the Wagering Requirement is completed. For example, the maximum converted cash winnings when you claim a £50 bonus would be £500. This 10x limit also applies to the maximum conversion amount from bonus spin winnings. 12. The maximum allowable wager, and the maximum contribution to wager requirements, with bonus funds is £5. Exceeding this limit will result in your bonus and winnings being disqualified. 13. Example bonus: Under the Welcome Package Bonus offer, if you deposit £20 in your first deposit, you will be awarded an additional £20 of bonus funds and 50 Bonus Spins. You will have £40 in your player account to wager on Betable-powered games. 14. The Welcome Package Bonus and winnings associated with the Welcome Package Bonus cannot be withdrawn until the Wagering Requirements are met. Only wagers placed with bonus funds count towards meeting the wagering requirements. 15. Real cash funds are always wagered with before bonus funds. Cash funds can be withdrawn at any time, at the expense of forfeiting all active and pending bonuses on your account. 18. 20% of wagers on all Instant Win games, virtual sports games, High Low games, and select video slots including: Bloodsuckers, Wild Blood, Flowers, Jackhammer, Jackhammer 2, Dead or Alive, Devils Delight, Arabian Rose, Pearls of India, Wishmaster, Wild Rockets, Subtopia, Cleopatra, Medusa II, Hot Gems, Kings of Chicago. 19. 10% of wagers on all three-reel slots including: All classic three reel slots including Ace of Spades, Lucky Diamonds, 5x Magic, Irish Gold, Wild Melon, Jackpot 6000. 20. 5% of wagers on Blackjack, Roulette, Video Poker and all other table games. 21. By making a First Deposit you accept and agree to be bound by these Terms & Conditions and the General Bonus Terms and Conditions. 22. The Welcome Package Promotion is valid from 3 May 2018 and the day we withdraw the Welcome Package Promotion, which we may do at any time without notice by ceasing to make the promotion available on our website. 23. To claim the Welcome Package Promotion you must be a first-time depositor with Betable, complete the registration and deposit process, and agree to these Terms and Conditions. Once you have successfully deposited, the amount of the First Deposit Bonus will be added to your Betable account. To claim the Second Deposit Bonus you must maintain an account in good standing and make a second deposit. To claim the Third Deposit Bonus, you must maintain an account in good standing and make a third deposit. 24. Deposits from UK players using Neteller or Skrill will not be eligible for the Welcome Package. If you make a first, second or third deposit using Neteller or Skrill, you will no longer be able to claim that portion of the Welcome Package. 25. If you decline a bonus at the time of your first, or second or third deposits, you will be ineligible to receive the Welcome Package Bonus associated with those deposits. 26. Betable will offer set number of bonus spins “Bonus Spins” to first time users as part of this Welcome Package Promotion. 27. Bonus spins can be claimed by loading the game for which the bonus spins have been awarded. 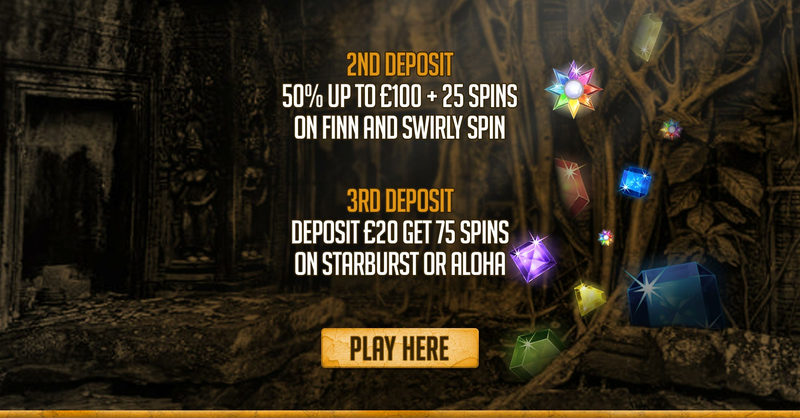 In the case of the third deposit bonus, players must load either Starburst or Aloha! : Cluster Pays, dependent on which game the player chooses to receive the spins on. The 75 spins for the third deposit bonus can only be claimed on one game. 28. Bonus spins are only valid within 7 days of their granted date. 29. Welcome Package Bonuses expire after 30 days if wager requirements are not met. 30. The promoter of the Welcome Package Promotion is Betable Ltd.
31. We reserve the right to withdraw or amend these Terms & Conditions at any time and for any reason, and will not be liable to you for doing so. 32. Management reserves the right to withhold any promotional payment if it believe that the promotion has been abused and/or where the terms of the offer are not fulfilled. 33. Management decision is final in all cases. Copyright © 2018, Betable Ltd. All Rights Reserved.